Ever misplaced a compact-sized yet enormously important device or gadget that has you in a panting frenzy at the thought of having lost it? In a kind of delirium, you try almost hopelessly to retrace your steps to find it, pacing in and out of every room in your house. Perhaps, all around your yard and almost dramatically, at the umpteenth act of self-frisking, you feel something in your back pocket; the familiarity of its feel does not deter you from frantically pulling it out and confirming, like a doubting Thomas, with your eyes that you have indeed found it. A warm sensation of relief pours over you like a hot shower on a cold morning. It was with you the whole time! It was not lost! Jazz music occupies such a space in the South African music industry, a fringe department that may require that bit of effort to find. Indeed, there are times you will think it has disappeared. An encounter with it, though, will leave you with no doubt whatsoever. Jazz is not lost! It is still the behemoth it was between 20 and 70 years ago, shrunken in reputation by ambiguous circumstances. On the evening of 8 March 2019, it was found at the UJ Art Centre at the University of Johannesburg courtesy of “It Has To Be Jazz”. The latter is an art-meets-entrepreneurship project that took off in late 2016 and has since soared upwards to meet the most emphatic achievements. Serving as an umbrella under which an assortment of young and yet-to-ripen artists can reach their potential, “It Has To Be Jazz” has seen 10 albums recorded, 7 books published, involved in projects such as Jazzuary Master Class, His & Hers Jams International Jazz Day celebrations and a number of other notable achievements, all in just a space of two years. In the UJ Art Centre that breezy evening we witnessed a surge of talent take centre stage, and nothing could have served as a better opener than Kamogelo Matsoso’s rendition of Thandiswa Mazwai’s rearrangement of the late Dorothy Masuka’s Kulala. The strength of jazz has always been in its strong reverence of ancestry, that is to say, acknowledging those who came before. It is indeed a component feature of jazz that renders it unapologetically African. 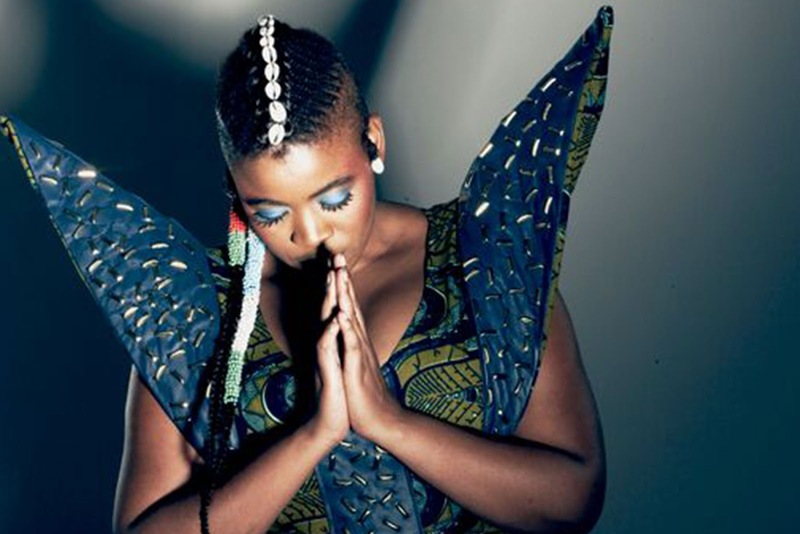 In Kamo Matsoso, the strong tradition of a leading female voice in accomplished bands remains safe. Behind her was a quartet of instrumentalists with a somewhat iconoclastic feature – a female saxophonist (Alto) by the name Mathapelo Wesinyane - boy does she know her stuff! The lie has long been maintained that there is something anachronistic about females taking up instrumentals. However, it is a lie, I maintain, that not even the men who have pioneered jazz the world over truly believed. Why the awkward tradition could cut across decades is a mystery. Jazz and Justice have long wedded into one entity. The lopsided event of male-dominated bands was always going to run out of breath. Other artists of considerable talented also graced the stage. Karabo Mohlala dazzled the audience with his performance on multiple horns, transitioning from Tenor Saxophone, Baritone Sax and the flute. Something of an enigma, Mohlala’s persona was peppered with a Miles Davis kind of funk but played mellow, grounded notes reminiscent of late legendary saxophonists in the form of Zim Ngqawana and Winston Mankunku Ngozi. Dzunani Shiliva, another crowd favourite, played with the energy and tempo I have only ever heard from legendary drummer and percussionist Paco Sery. Moreover, just when I was convinced no one could play with the consummate ease of accomplished drummer Ayanda Sikade, Full Circle drummer Sibusiso Niyrongo proved me wrong. Some other artists impressed on stage such as the incredibly gifted vocalist Connie, who recently joined It Has to Be Jazz. Clyde Chisale and William Mampuru also made telling contributions. If Friday’s show is anything to go by, It Has to Be Jazz has a lot more to offer yet. What they have achieved in the past two years is nothing short of extraordinary and with the energy the young musicians displayed that evening, the sleeping giant that is Jazz is well on its way to full awakening.